This used Yamaha YEP-642S euphonium has recently been chem cleaned by Giant Steps Music Corp. in Chattanooga, TN. Yamaha has had some issues with this model with tubes rotting over time. For the particular one we have in stock, we replaced the main tube from the 1st branch to the 1st valve tuning slide. We also patched the tube from the 1st valve tuning slide into the 4th valve due to the OEM part not being available from Yamaha anymore. The YEP-642SII model currently available from Yamaha lists brand-new for $ 10,185.00, so we don't expect this used instrument to last long! 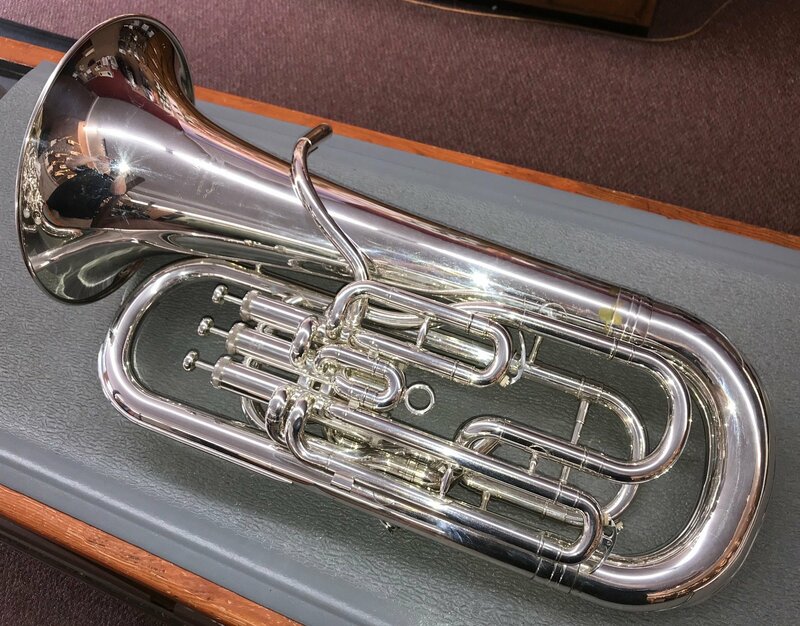 To purchase this online, visit the listing on our Reverb site: https://reverb.com/item/21496059-yamaha-yep-642s-4-valve-professional-euphonium. Marked down $ 100 on 4/20/19!